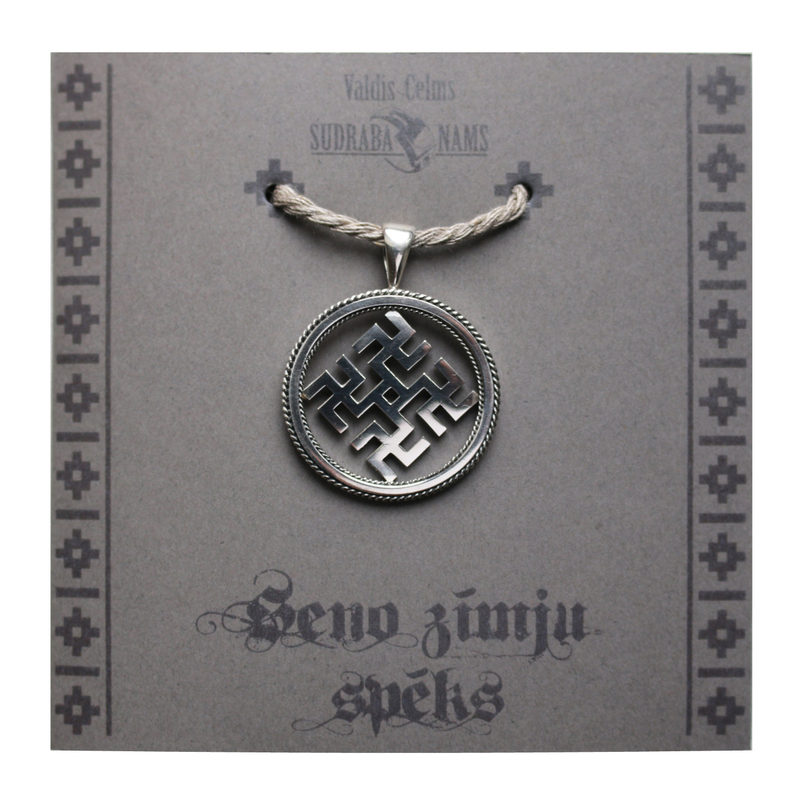 The jewellery is made using an ancient Sun motive, known in Latvian and Lithuanian culture. It shows eight positions of the Sun during the year. In the middle – the Sun and the world; the common beginning of all activities – the symbolic beginning point of time and space. It symbolizes the big WHEEL – the world order and beauty created by God. It promotes the understanding about the tasks of human being in his/her life, the thoughts and activities will be put in order. It promotes smoothness and brightness. It helps and guards in mental and moral growth. It promotes the personal power and Laima guardianship. The owner of the jewellery must put himself/herself in the centre – then the Sun circles around and protects. A good tool to reject alien teachings and powers.